A lot of planning and preparation goes into D.C. school field trips, and transportation may be the biggest hassle of all. Some aspects are out of your control and it can be difficult to manage everything should you choose to drive everyone yourself. On the other hand, if you are considering taking the Metro, there are a few obstacles that could pose a challenge as well. Moreover, if you’re planning a school field trip in D.C, consider the pros and cons of each transportation option first. Read on and see how Chesapeake Charter is the safest, most reliable, and most affordable option for all of your transportation needs. Your choices for sightseeing are limited, as you can only stop at designated areas in the city. You should prepare to be on foot. If you take the metro, you will be walking everywhere, and the city is much larger than you might realize. Everyone is on a time crunch. The metro runs on designated time slots, and it can be stressful managing the ride times. Traffic can be dangerous, and it’s your job to keep everyone safe. If you aren’t familiar with the D.C. area, you may find yourself lost. It’s difficult to drive and be a tourist at the same time. Driving everyone is an immense responsibility, and it can be stressful. Parking is expensive and limited. Instead, Choose Chesapeake Charter for all of your D.C. school field trips. 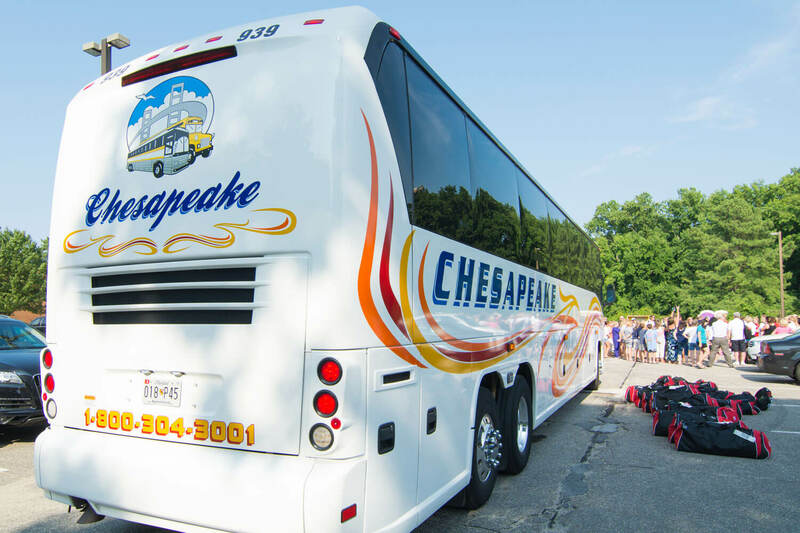 Chesapeake Charter is the safe, reliable, and affordable option for all your field trip transportation needs. All of our drivers are certified professionals that are compliant with all DOT regulations. Also, we are the most recommended and used school bus charter company through Anne Arundel County and beyond. But, if you’re still on the fence, here are some additional perks to choosing our services. Safety is our top priority. And, our experienced drivers are prepared to get you to your destination comfortably and safely. Everyone can enjoy a worry-free transportation experience. You have the freedom to sit back, relax, and have something to eat before arriving at your destination. At Chesapeake Charter, we have a fleet for any size trip you are planning. We have school buses if you have a larger group, which must meet more federal safety standards than any other motor vehicle on the road. Also, we have motorcoaches, which are ideal for long-distance travel and optimal comfort. Call Chesapeake Charter and discuss the details with one of our bus professionals. We can talk to you about timing, trip distance and length, how many buses you might require and more. Overall, whatever you choose, you will have a trained and licenses professional to transport all of your students.